The U.S. Open, much like Christmas, March Madness, and the McRib sandwich, comes around but once a year. Since the host course varies, thus not favoring any particular golfer, and because the USGA, led by Mike Davis, takes a unique approach in setting up each course in ways that maximize the difficulty of the various conditions and layouts, the U.S. Open is commonly considered golf’s truest test. Unlike a Master’s format in which viewers can look forward to seeing the pros make birdies and the occasional eagle, the U.S. Open usually yields a 4-day onslaught in which the pros try to make pars and the occasional birdie, and in general just hold on for dear life. In fact, only twice in the last 10 years have more than two players finished the Open under par. Now, with the Open returning to the iconic Pinehurst No. 2 for the first time since 2005, 156 golfers will tee it up on Thursday at a familiar site and attempt to become the tournament’s 83rd winner. Pinehurst No. 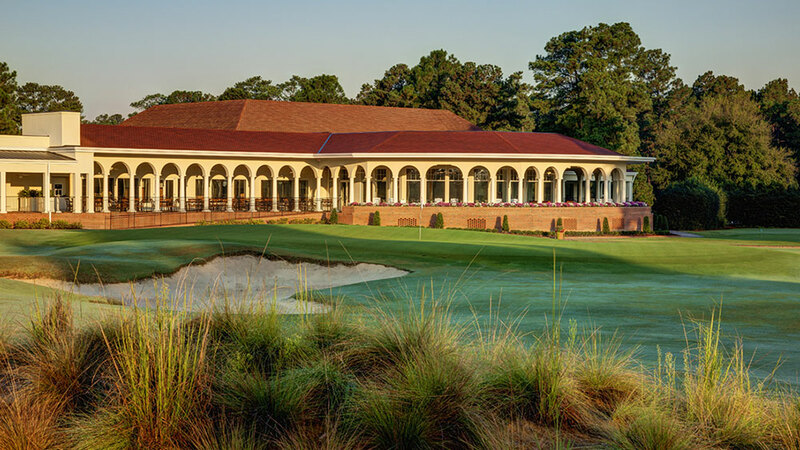 2, a course completed in 1907 by Donald Ross and currently sitting at number 46 on Golf Digest’s list of the best golf courses in the world, was described by Ross himself as “the fairest test of championship golf I have ever designed,” according to Pinehurst’s official website. Pinehurst claims “No. 2 is best known for its crowned, undulating greens, which are some of some of the most complex and widely hailed in the world.” In simple terms, this course is made significantly more difficult by the fact that the greens are hard to hit. A look at the clubhouse and 18th green, where Payne Stewart beat out Phil Mickelson, who earned his first of six runner-up finishes in 1999. The short game will be at a premium this week, and (maybe not so) coincidentally, the man who has stolen all the headlines happens to be one of the game’s most special players around the green. The headlines are all there for Phil Mickelson… he has a record six runner-up finishes in the U.S. Open… he earned his first runner-up finish at Pinehurst in 1999, in dramatic fashion to the late Payne Stewart… he followed up last year’s runner-up with a far more unlikely win at the Open Championship, thus completing the unexpected third leg in his quest for a career grand slam… he will turn 44 on Monday after arguably his best chance to win this tournament… The question is: will Phil’s game be there? 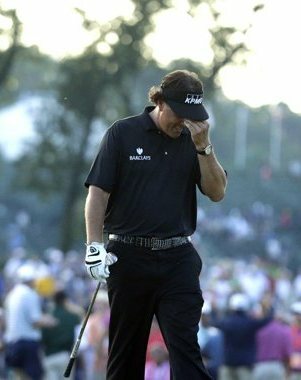 His season has been rocky to say the least – out of 12 tournaments on the season, Lefty has withdrawn twice, been cut three times (including at the Masters and the Players), and he has not finished higher than T-11. However, both T-11 finishes have come since May, including this past weekend, where he was in contention at the St. Jude Classic until a Sunday round of two-over par. Phil Mickelson would quickly forget his 6 runner-up finishes with a win at Pinehurst this week. So Phil has seemed to find his swing again, plus, as I mentioned before, this is a course that favors the golfer who can get up and down, and few players can do that like Phil Mickelson. If I were a betting man – oh wait, I am – I think it is safe to roll with Phil this week, especially in a foursome league, or a format that factors in best overall finishes. While Phil may not validate the headlines by accomplishing the career grand slam on Sunday, there is a very strong chance he will wind up pretty high on the leaderboard. Some other golfers to consider are those who have been in good golfing form this season, especially as of late. Jim Furyk had back-to-back runner-up finishes at the Wells Fargo and The Players, and has had several high finishes in his trimmed schedule this year. Adam Scott, after reaching the coveted number one in the world ranking, won the Crowne Plaza Invitational in a playoff, and then was in contention at the Memorial Tournament the next week. Matt Kuchar once again seems to be leading the PGA in top 10s, and although he has cooled off lately, he has the kind of steady game that you would expect to hold up in this kind of challenge. Finally, Rory McIlroy, who has failed to stay consistent after his dominant performances in the 2011 U.S. Open and 2012 PGA Championship, seems to have returned to form after winning the European Tour’s flagship event and following it up with an impressive Thursday 63 at the Memorial Tournament (let’s forget his Friday 78, because hey, Muirfield Village is a hard course). Looking at the 2005 U.S. Open in which Michael Campbell won with an even 280 (par 70) at Pinehurst, there are only 5 players in this year’s field who finished in the top 20: Sergio Garcia (T-3), Retief Goosen (T-11), Stewart Cink (T-15), Ernie Els (T-15), and David Toms (T-15). Tiger Woods came in solo-second in 2005, but as we all know, he is still unable to return from back surgery. Of those 5, I legitimately like Sergio’s chances, but it’s also worth noting that Retief Goosen is coming off of a strong opening two rounds (66-66) at the St. Jude’s Classic that had him playing in the final grouping on the weekend. Finally, and interesting storyline is that the two low amateurs in the 2005 U.S. Open were Matt Every (T-28) and Ryan Moore (T-57). Both could make a splash this year as two of the tour’s up-and-comers, and I especially like Every’s chances, as he got a win earlier this season at the Arnold Palmer Invitational, and has notched four top 10s this year, including a T-3 this past weekend. Overall, it looks to be a fine week of golf. According to the U.S. Open’s official website, the course was modified by Bill Moore and Ben Crenshaw in 2011 to restore the old look, including the natural sandy areas – which is a different look for an Open course – and adjust the overall length to make the course more challenging for today’s era of golfer. Expect the leaderboard to have a few surprise names on there (see: Matt Every), but remember, this is a major. Much like March Madness, it seems that no matter what has happened all season, you get the same brand names (see: Kentucky, UConn) staying in contention down the stretch, so I would not bet against the likes of Phil Mickelson, Lee Westwood, Graeme McDowell, Jim Furyk, and heck, maybe even Ernie Els or Padraig Harrington. But regardless, do not bet against it being an exciting finish, and although the preliminary rounds of the World Cup will be tempting, make sure you don’t miss a second of the action on Sunday.